There are 24 satellites available in space and it is guaranteed that at any given time, there will be at least three satellites available anywhere under the sky. HawkEye computes its present location based on this. 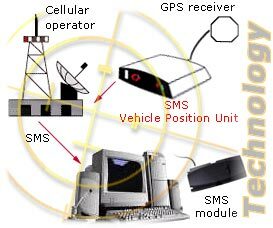 GSM technology is used to transmit this and display the geographical position of the vehicle at the base station. 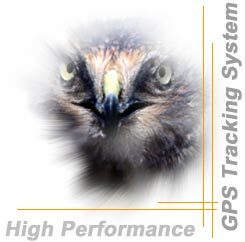 The Vehicle Tracking System unit is configured around a main Controller module, which executes the software to configure and control the GPS receiver, GSM module, and (optional) IO Ports. This unit is to be fitted in the vehicle, with appropriate GPS and wireless antenna. The GPS receiver detects the position and provides it to the Controller module. The Controller module converts the received data and sends it to the central station using SMS. Messages received from the Central station can be displayed on an LCD and the driver can send messages from a keypad. The Controller can also handle input output ports to continuously monitor the health of the connected attachments and in the event of misuse or alarm, information can be transmitted to the central base station instantly.